I was a little surprised this year that I've only taken 45 pictures total in this catagory. I did do more videos though. 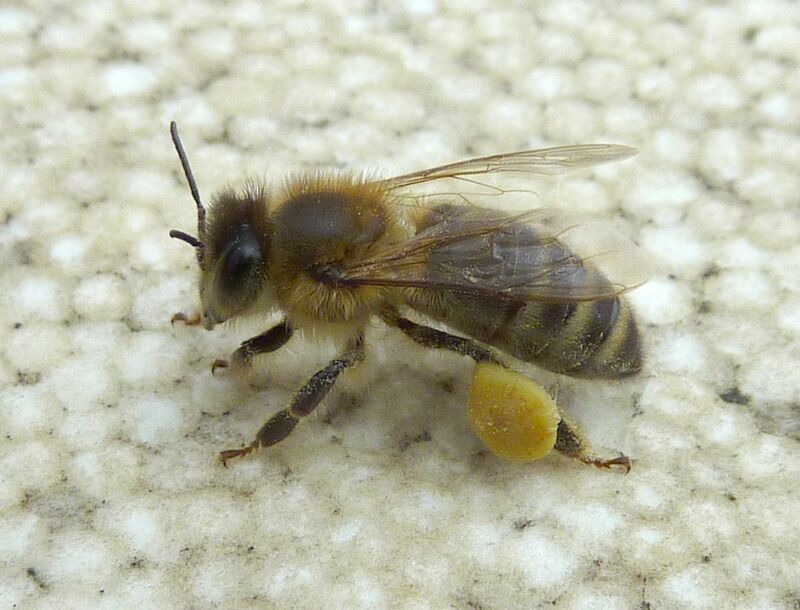 The year starts off with Honeybees bringing in the usual black yellowish green pollen. 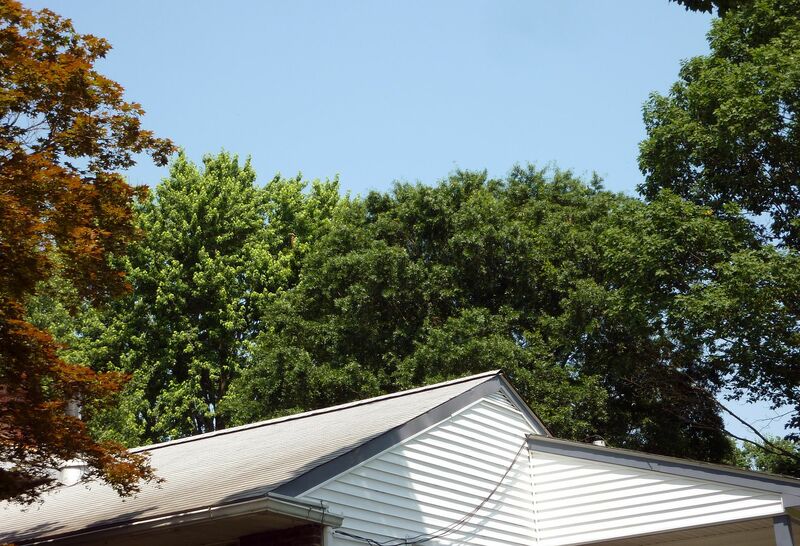 I suspect it's from Maple trees. 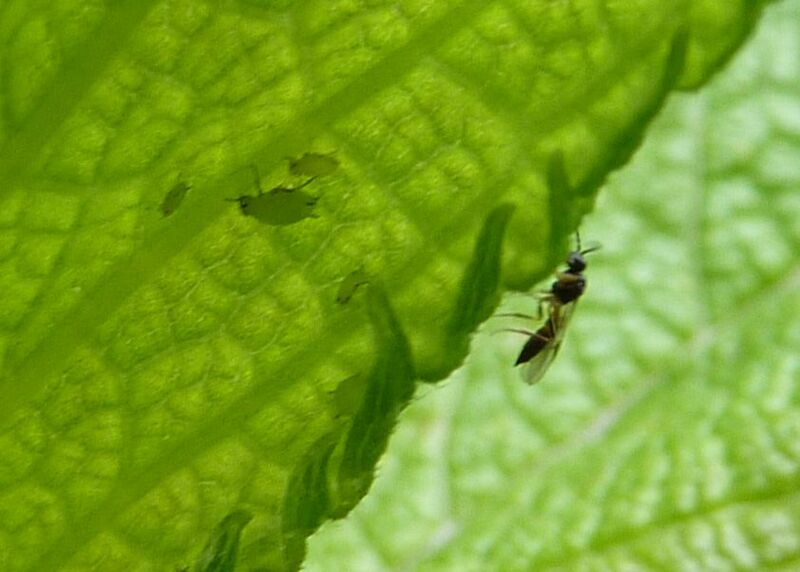 This tiny wasp here is a parasite of aphids. 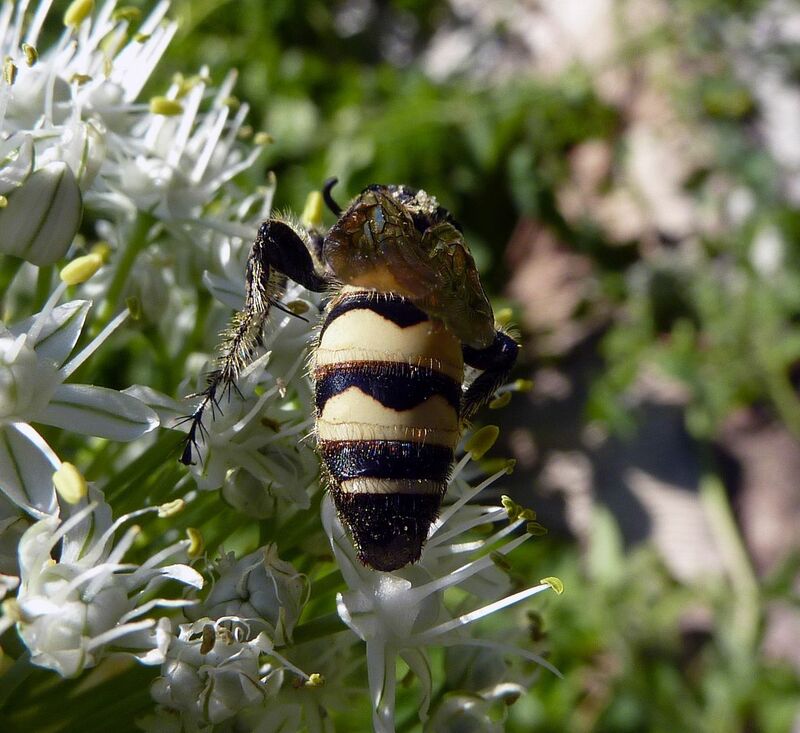 As I recall I witnessed it injecting eggs into multiple aphids that day but was unable to get pictures of the deed in action. I'm not sure whether I tried doing video but I don't seem to have one on hand. Bees working an apple tree in April. 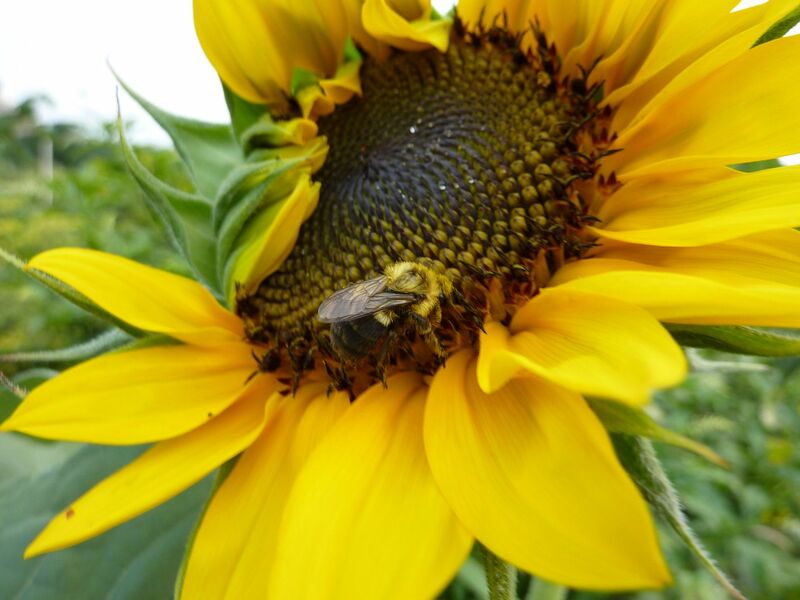 Each May our Honeybee hives swarm and land nearby to start out. 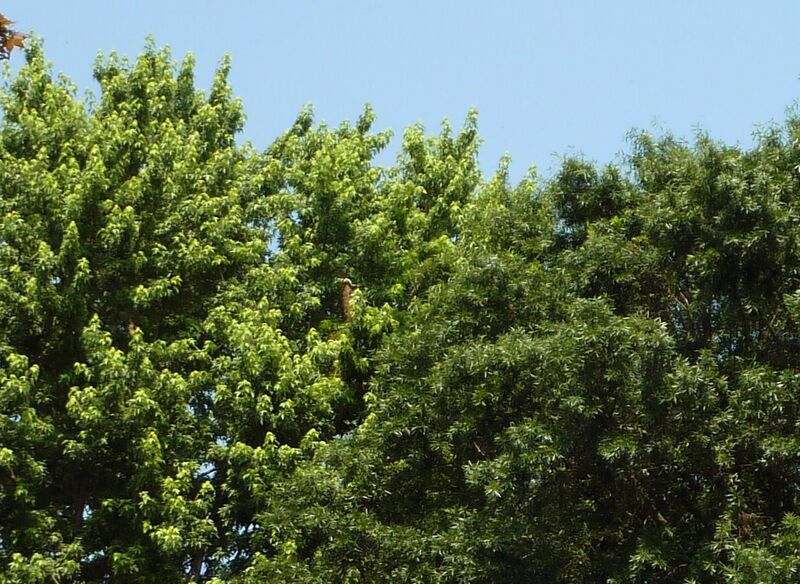 This brownish blob in the tree here is a swarm of ~40,000 bees. They later took off and I never saw them again. Even in May and June, Bumblebee hives are still starting up. Here a queen is collecting nectar on some Swamp Milkweed, Asclepias incarnata. 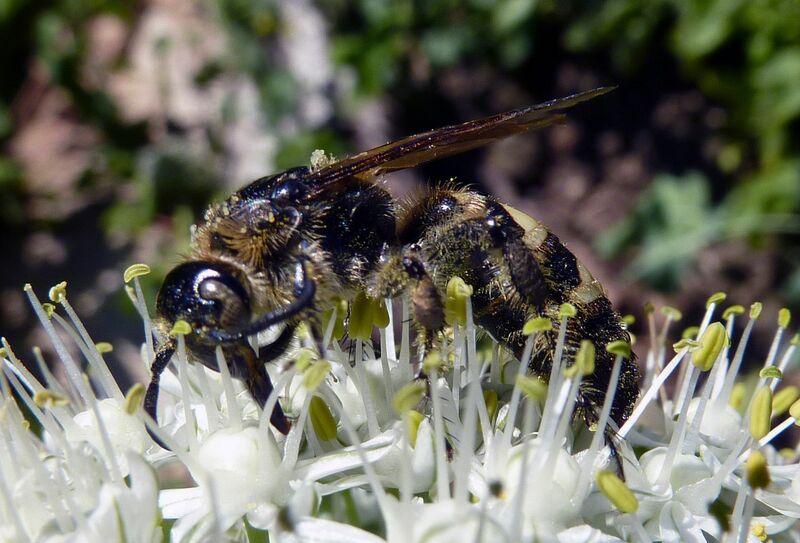 Wasps or some Mountain Mint in July. More wasps on a stunning specimen of Swamp Milkweed, Asclepias incarnata. 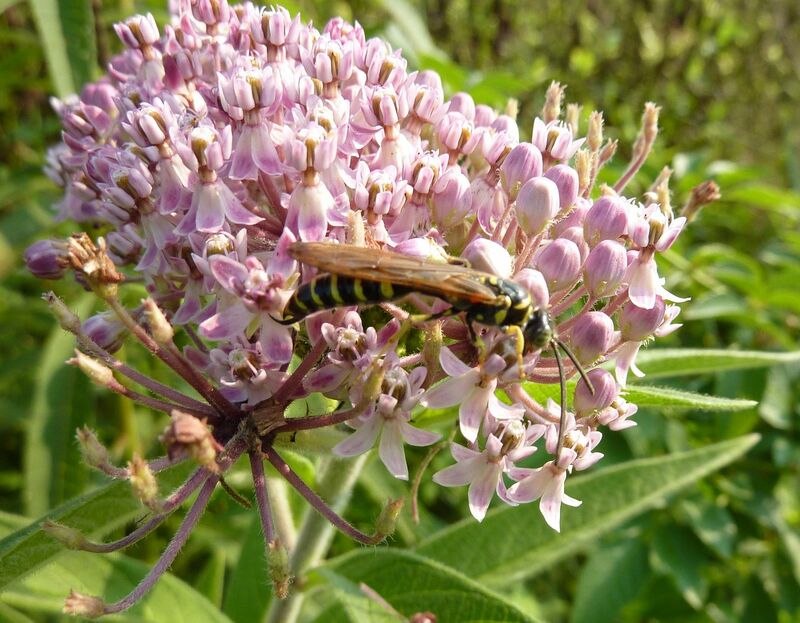 An unknown wasp on Swamp Milkweed flowers. 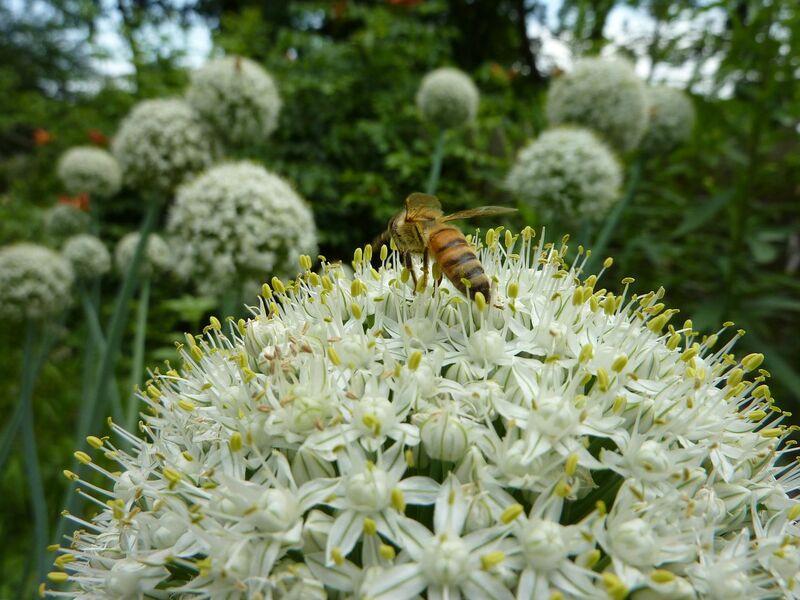 The large white globes of onions provide nectar to lots of bee species. Colorful Ichneumon wasps emerge in mid to late summer. 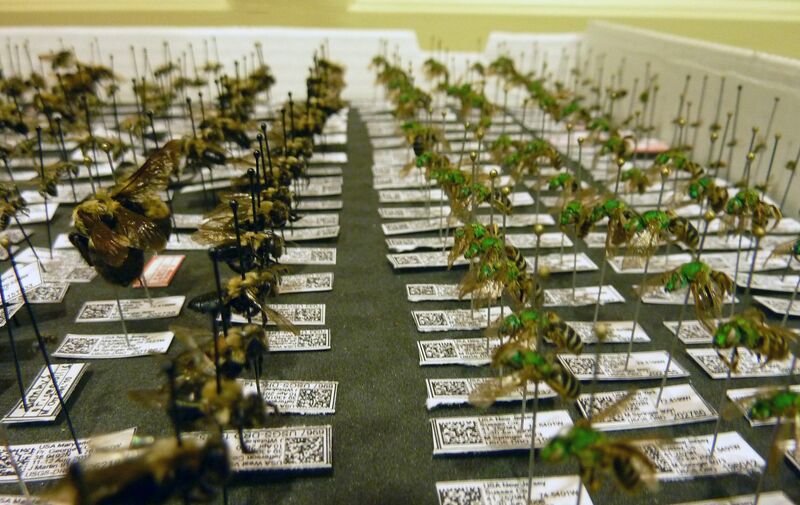 They're harmless to humans but can often be the cause of bee phobias. Their abdomen contains a long coiled up egg laying syringe (which I forget the name of). When exposed it becomes several times longer than their body, about the length of an average pen, and it's used to drill into trees in search of beetle grubs which are already damaging the tree. Here is a video on youtube showing this aspect off. 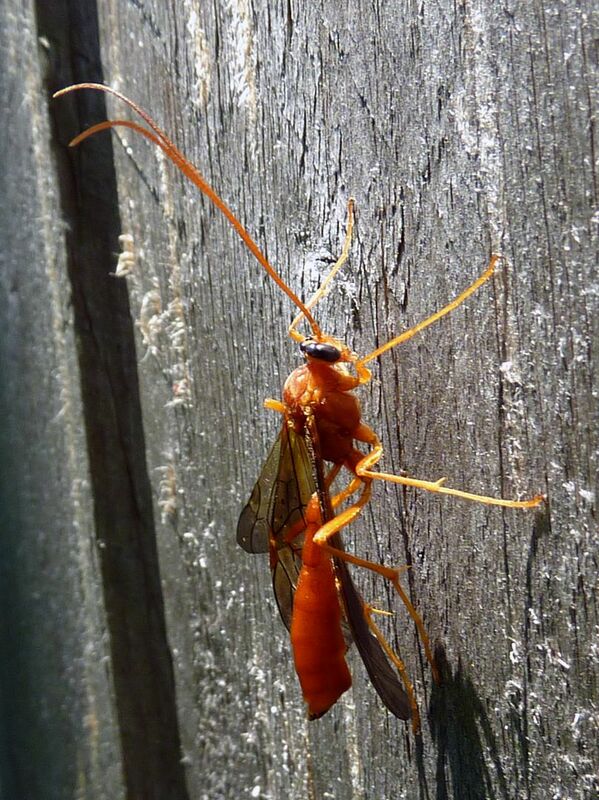 Some species of Ichneumon wasp specialize in caterpillars, beetles, or mason bees. 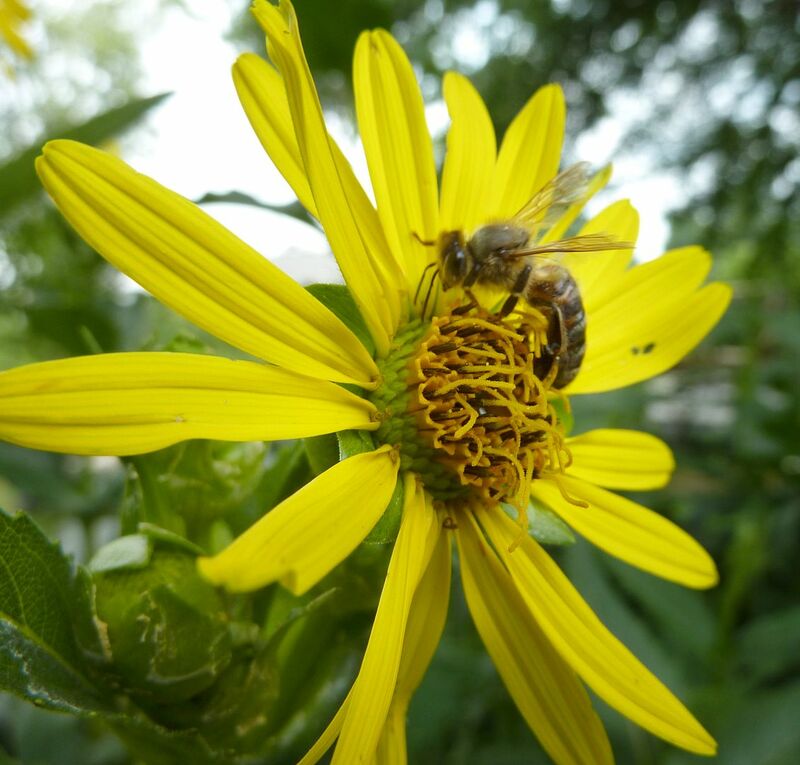 Honeybee on Cup Plant flower. Notice how the flowers in the disk are opening from the inside out. 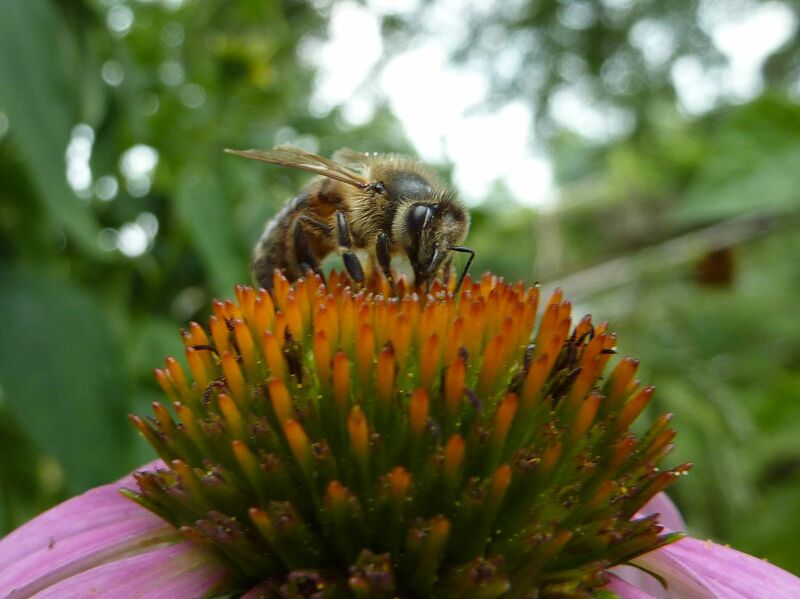 Honeybee on a Cup Plant flower. Notice how the flowers in the disk are opening from the outside in. Cup Plants are notorious for having flowers that do that even on the same plant, between flowers growing next to one another. 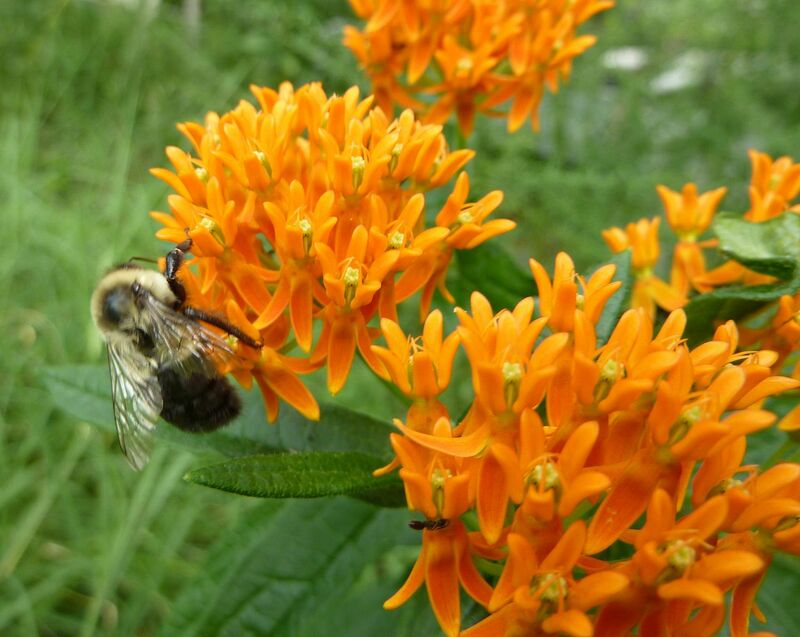 Bumblebee on Butterfly Weed, Asclepias tuberosa. Bumblebee on Button Bush flowers. Some Honeybees working Liatris microcephala. This was at a nursery I was touring. The overpowering music was great to drown out the sounds of the tour guide talking. 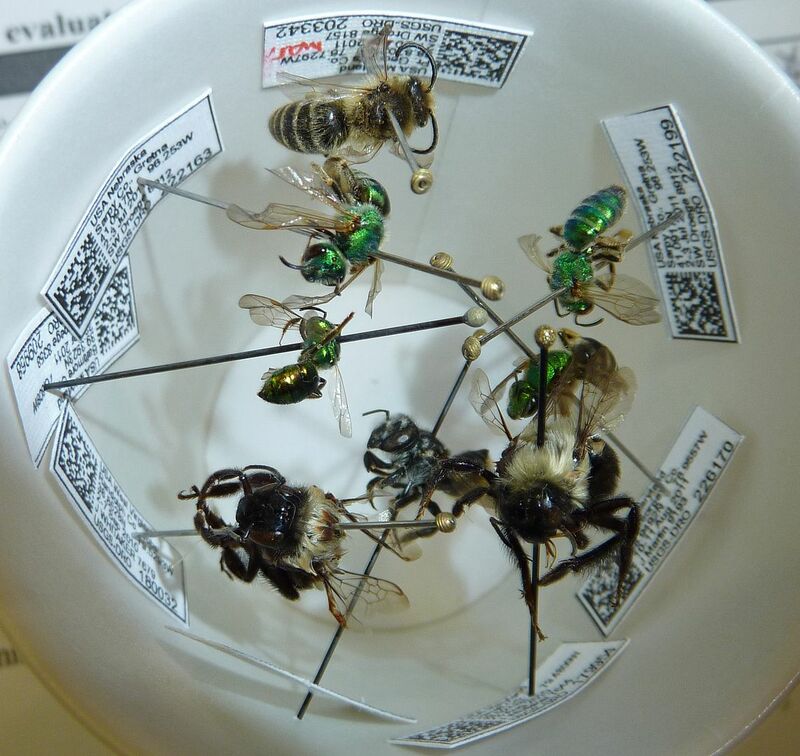 Bee specimens arranged in a cup. 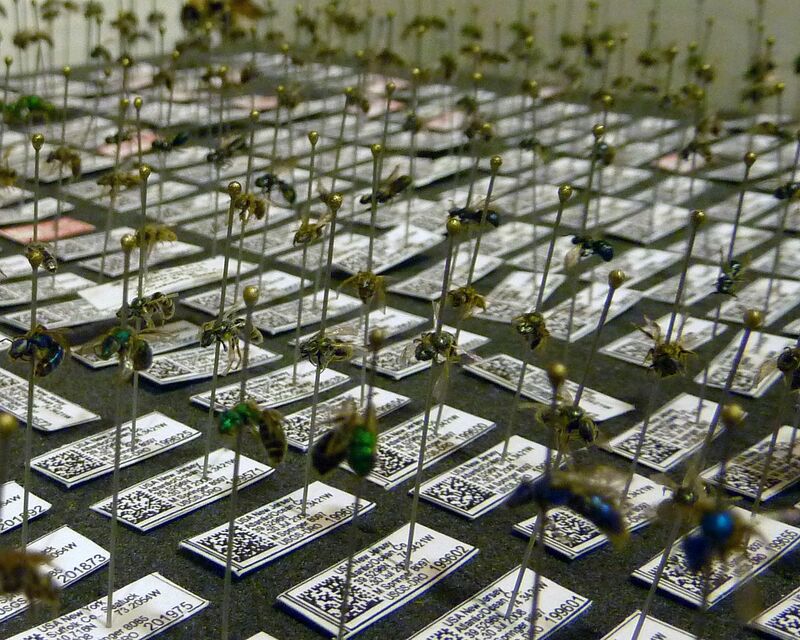 Bee specimens pinned in a box. Lastly who could forget the massive goldenrod plant I have. The species is Solidago altissima, Tall Goldenrod, and it's a food source to just about anything that's alive for the first frost later to come. 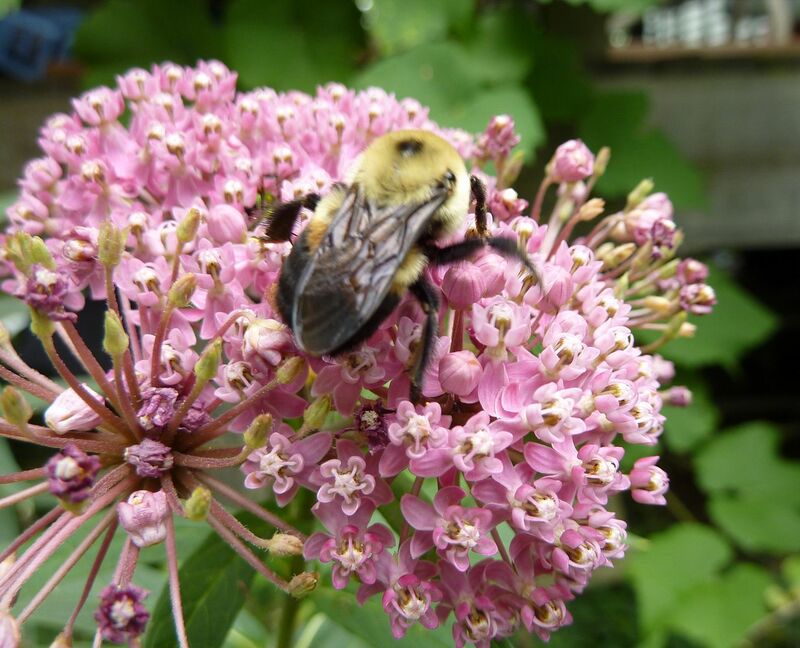 It's also a good nectar source for next years queen bumblebees; one is featured in the video at 2:35. Nice post. I especially like the video of the bees on the apple tree. 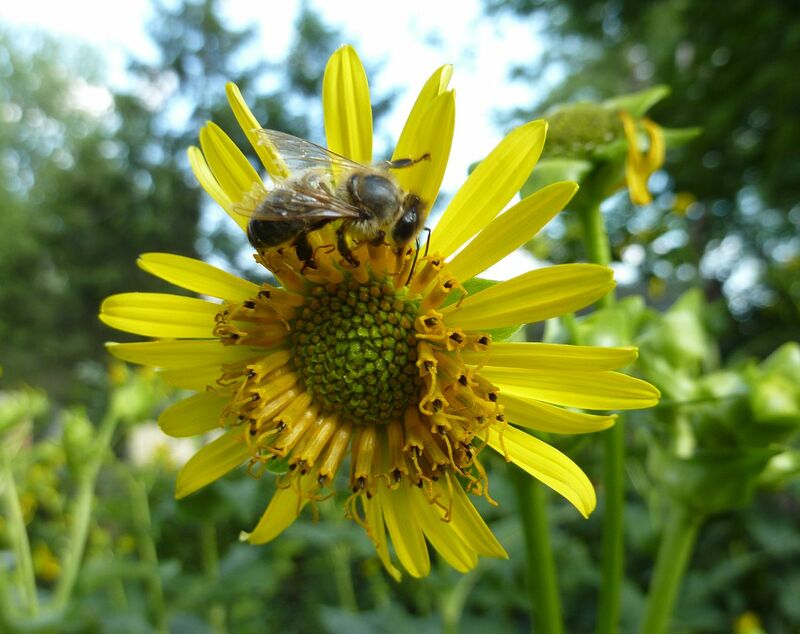 It reinforces my desire to try again with beekeeping in the spring.